I have been on a big quiche kick lately. What’s not to love? They can be eaten for breakfast, brunch, lunch, or dinner, you can throw anything you want in them to please even the pickiest eaters, and they are so delicious! 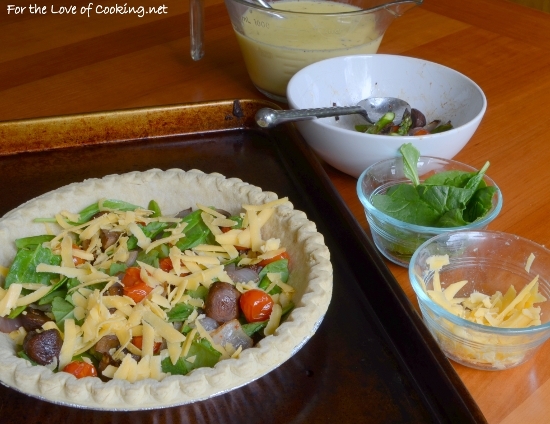 Normally, I would say that a homemade crust is the best option when making a quiche or pie, especially when you have the time. That being said, I love using frozen crusts on busy weeknights. My first quiche was Bacon, Sharp Cheddar, and Chive Quiche, then it was Sausage, Mushroom, and Cheddar Quiche, and now it’s this delicious roasted vegetable quiche with spinach and sharp cheddar. This one is my favorite so far. 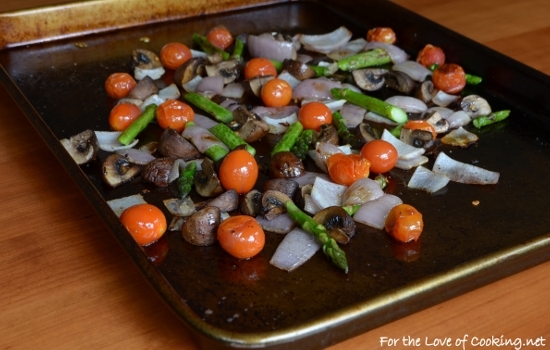 I loved the combination of flavors and textures of the roasted veggies with the sharp cheese and flaky crust. YUM! I had some of the leftovers for lunch today and it was wonderful. 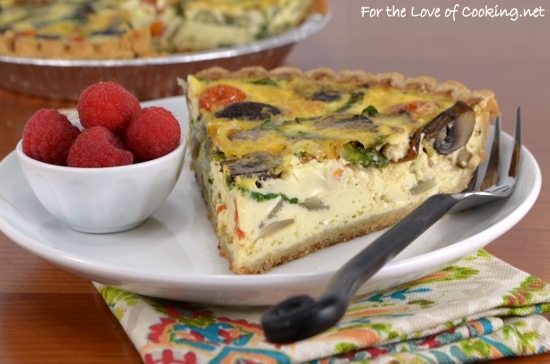 If you love roasted veggies, try this quiche! 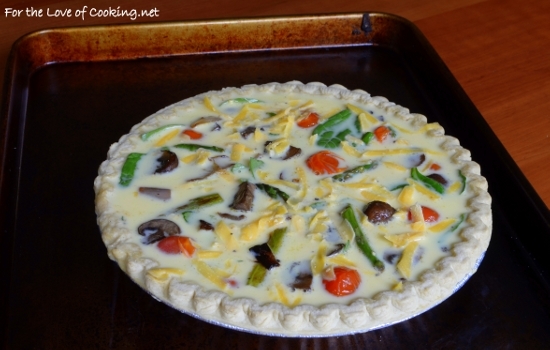 Carefully place into the oven and bake for 30-40 minutes, or until the top is set and not wiggly and the eggs are cooked through. Don’t overcook! 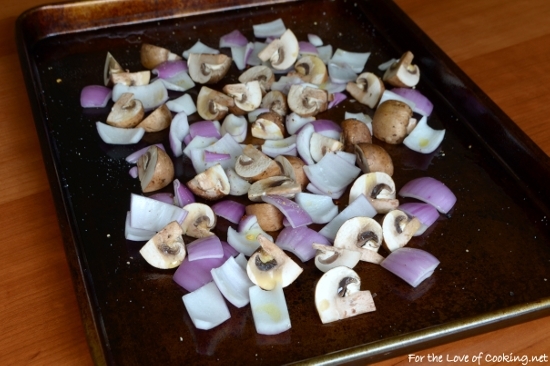 Remove from the oven and let it rest for 10 minutes before slicing and serving. Enjoy. So delicious! I must bake one this weekend too. Quiche has become quite a popular and standard dish since the book “Real Men Don’t Eat Quiche” published in 1982 (I just checked the date). Now it’s for everyone! Yours sounds delicious. Though I like all the additions, I remain a fan of quiche Lorraine, which had very few ingredients and had to be eaten immediately after coming out of the oven, while it was still all puffy and light. What a beautiful quiche! I can taste Spring from here! Quiche is a go-to for me when I don’t have a lot of prep time and want something which will stick to your ribs for a while. Yours looks really great with all the veggies! Colorful and flavorful, just the way I like it. Love quiche. Your recipe has lots of good things in it. 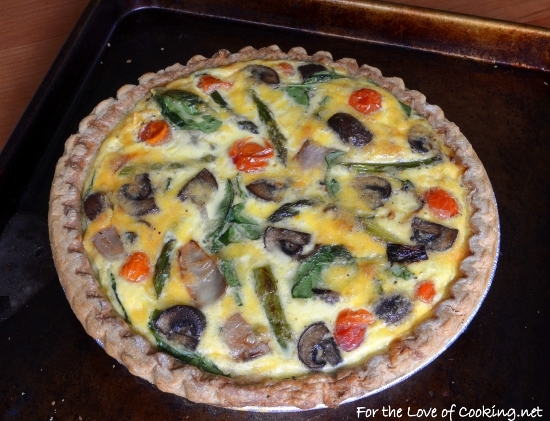 Love this roasted vegetable quiche Pam. 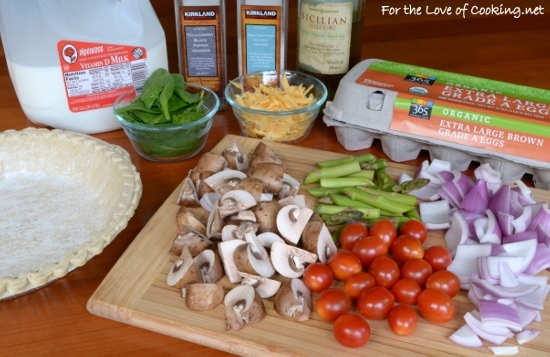 Quiches are SUCH a multi-purpose meal…you can eat them at any time of the day and they’re always delicious! Love that this is stuffed with so many veggies.